All of our classroom and labs, or as we call them, CLABs, are fully equipped for hands-on, application-based STEM curriculum. Learn more. Gear up in the Robotics Lab for exciting courses in building robotics. 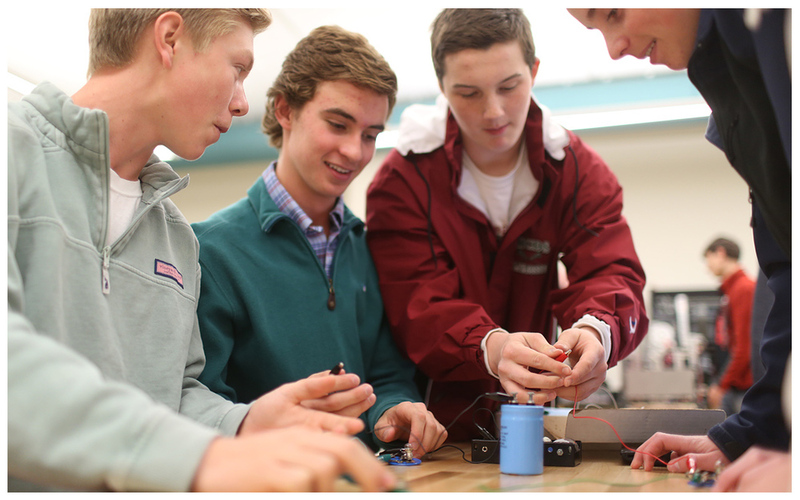 MICDS even has a competitive club that will use the facilities after the school day ends. Students will bring technology to life using our tool bench, 3D printer and specialized tools. This hall can be used for multiple sections of a class or grade level by simply opening the moving partition. It will also serve as a community resource for various partners committed to using the space this summer, such as Deer Creek Water Shed and Sustainability Institute for K-12 Educators. 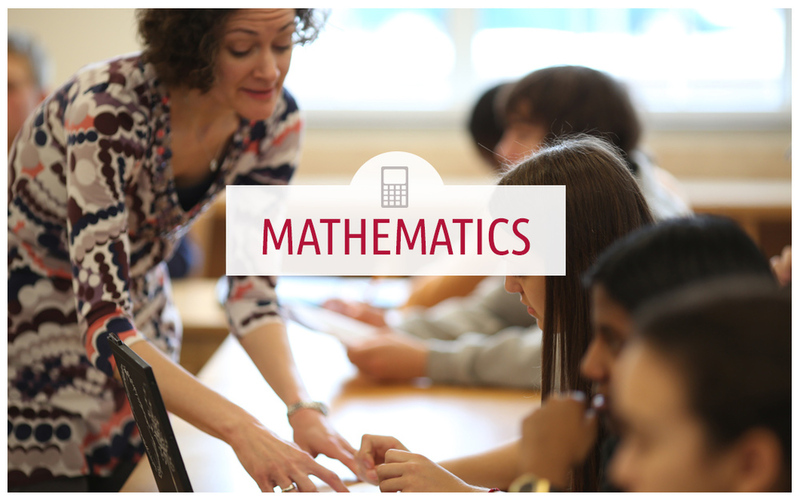 MICDS math classrooms are flexibly designed so teachers can lecture to full classes or break into smaller work groups. These spaces bring math to life, allowing classes to write on the erasable walls and more. This CLAB was purposefully designed to be spacious and flexible. 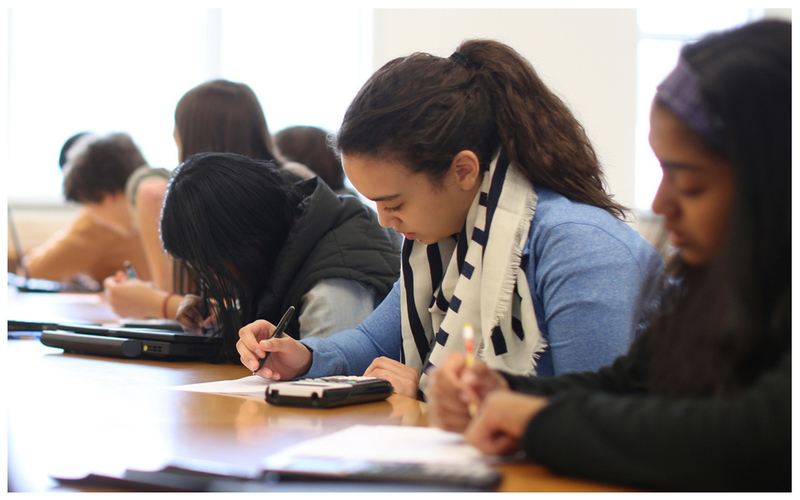 Based on course needs, students can seamlessly move between the classroom and lab, as well as leave up ongoing experiments for continued evaluation. These special prep rooms allow teachers to prepare activities and experiments outside the classroom, before class. This space ensures efficient use of classroom time and the safe, secure storage of chemicals and equipment. 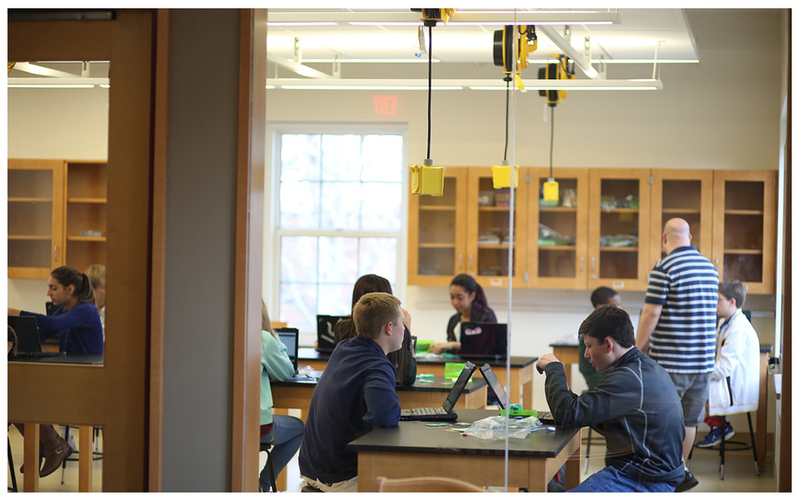 Our Physics CLAB is 30% larger than a standard high school classroom and outfitted with blackout shades for light and lens investigations. It seamlessly combines instructional space and laboratory space, so students and faculty can move between the two as needed. This CLAB allows us to deliver the curriculum through hands-on, inquiry-based learning.